Travel plans for food allergic individuals can be particularly daunting. 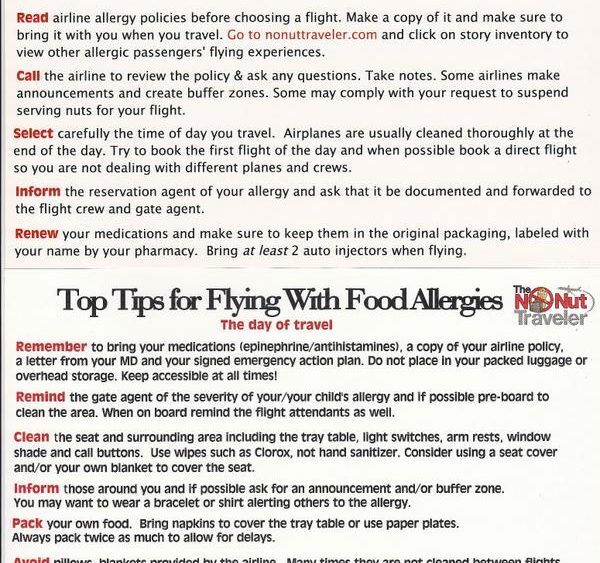 In this post, Lianne Mandelbaum — food allergy writer and founder of the No Nut Traveler — shares valuable safety tips on flying with food allergies. After an unsettling experience boarding a flight with her peanut-allergic son, Lianne has become a leading advocate for the implementation of airline safety measures to protect food allergic passengers. 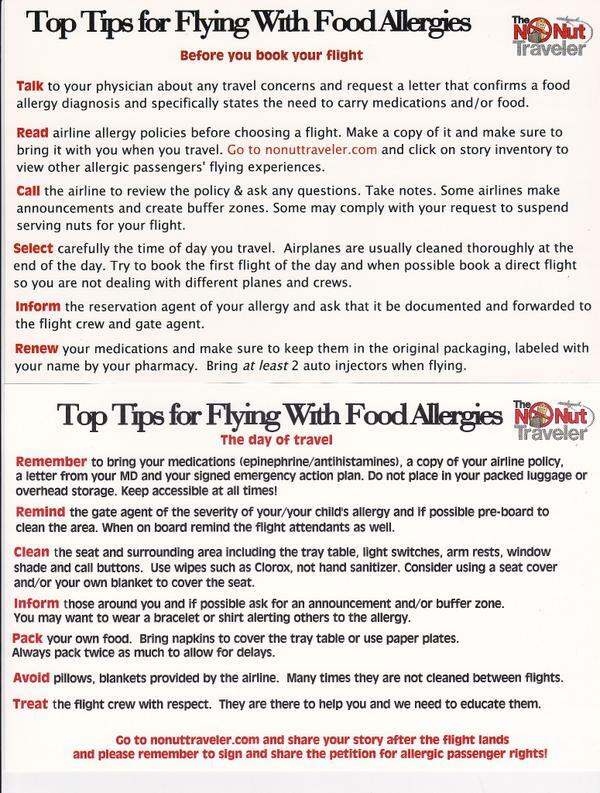 Below are her tips on mitigating the risks of flying with food allergies.